If you want to watch a bunch of video game trailers in one place, Hulu is now launching a new video gaming channel or hub that will “feed the game trailer addiction” for gamers. The video games hub on Hulu contains HD trailers, game play videos, and reviews for the latest games. Just browse around and see what you want to buy, since it also offers release information for the games. It is a convenient way for gamers to keep an eye on new stuff. 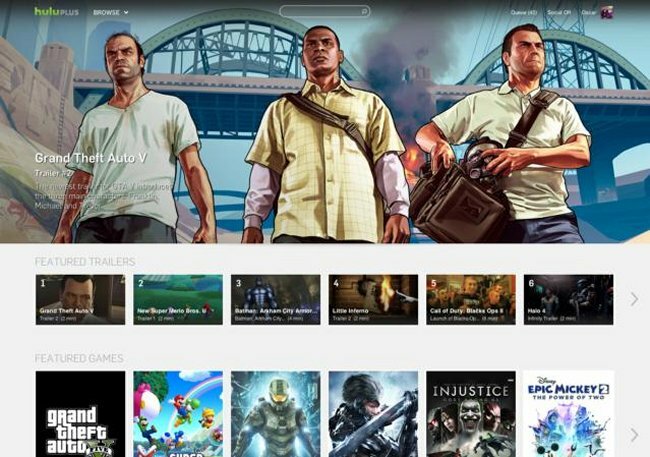 Hulu’s video games hub is currently available on PC, but soon all Hulu Plus enabled devices will have it. It’s a great idea and it should get Hulu many gamers joining it’s ranks.